Jon S. Baird’s heartfelt tribute to Laurel and Hardy delivers a most touching view of the extraordinary professional and personal relationship between these icons. What makes a comedic partnership great? Is it just timing and delivering the punchline, or is it something else? Perhaps it is a deep passion for performance that shines through, or could it be merely the power of friendship that makes any professional partnership great? Indeed, when we look at the great comedy duos of the past from Abbott and Costello to Cheech and Chong, what’s clear is not just the genius of their respective acts, but of the genuine rapport between the pair. 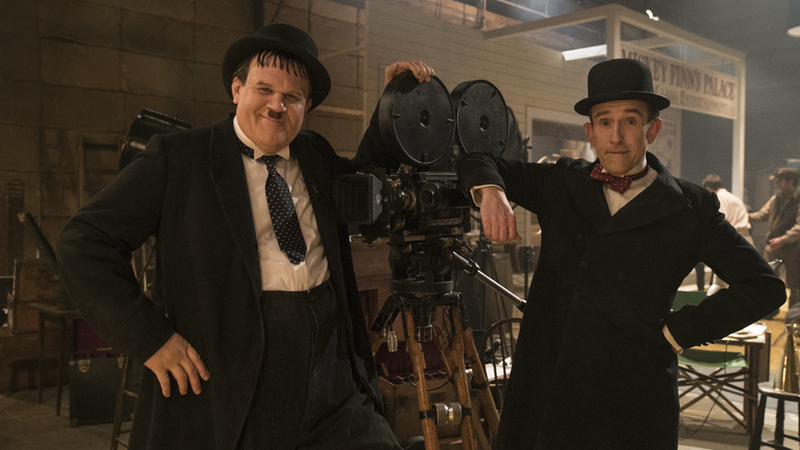 Director Jon S. Baird’s Stan & Ollie then is not so much a brilliant look at the lasting effect of the work of Stan Laurel and Oliver Hardy but of the immense (and sometimes strained) bond between these two giants of early Hollywood. This is a film about friendship, its ups and downs, and how two men solidified their place not only in cinematic history but into the hearts of the world through a very unique relationship. Throughout the ’30s and ’40s, Laurel and Hardy were the top comedy act on the planet, bringing global audiences years of hysterical laughs in numerous stage shows and films; through their use of clever visual gags, slapstick and a blend of song and dance routines, the two represented the ultimate distraction from melancholy especially during the Great Depression and the onset of the Second World War. By the early 1950s however their sparkle began to dim and they struggled to put on one final stage tour amidst doubts of not only their ability to perform but in the strength of their friendship. 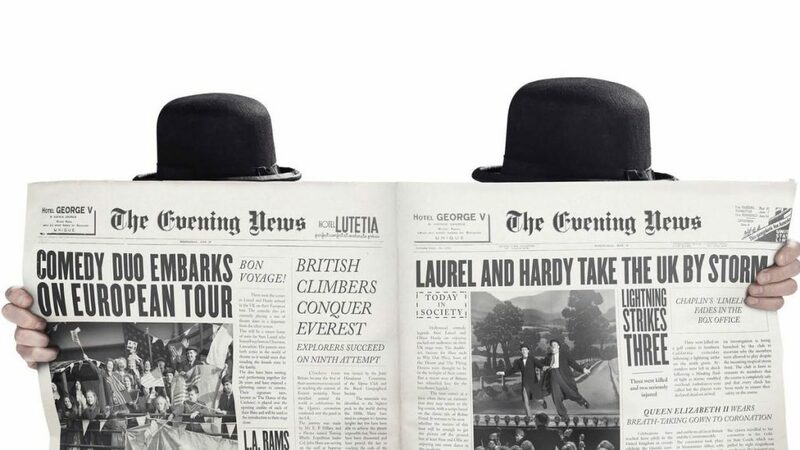 Although the film is not a biographical portrait of the two men or how they came to meet per se, its sentimental and clearly reverential embrace of the last years of this iconic team will certainly encourage new audiences to find out more about them; beyond simply recreating the time period and some of the duo’s classic sketches, Stan & Ollie is an unabashed love letter to Hollywood history and the personal affection between two of its biggest stars. Stepping into the shoes of these legends, Steve Coogan and John C. Reilly bring forward not imitations but deeply human personifications, while revealing themselves to possess just as much ingenious comedy instinct as the real Laurel and Hardy. 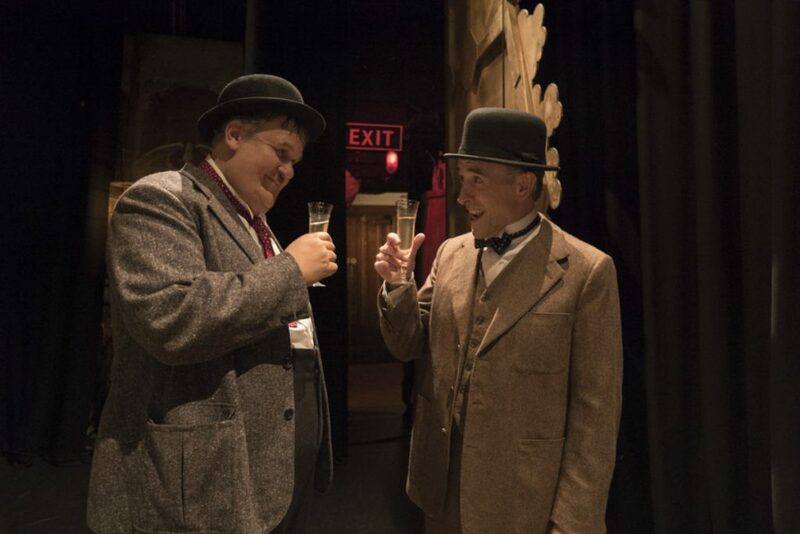 As they recreate this classic material, Coogan and Reilly have tapped into the spirits of Stan and Ollie to show new audiences the utter joy of this comic collaboration. There are a real playfulness and camaraderie between them, in what seems to be an almost brother-like endearment. 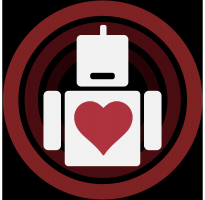 And so when they are in the midst of an argument, we sense the real bitterness; these are not empty words of anger, but something very genuine and we see the palpable hurt, because ultimately the two aren’t just acting partners, but life partners. Unlike many other biographical films that tend to overly lionize their protagonists, Stan & Ollie showcases the greatness of this act by portraying them as everyday humans, complete with desires for acceptance and occasionally haunted by self-doubt. We see the men as relatively ordinary folk, which only serves to accentuate their absolute comic genius when they stepped onto that stage. Although they delivered a facade of two clowns, they were both as vulnerable and intelligent as the next person, despite the adulation of millions. In one scene when Oliver (Reilly) is bedridden after a mild heart attack, Stan (Coogan) reveals his true feelings for his friend in a warmhearted and tender moment, and we immediately understand that it wasn’t Oliver Hardy or Stan Laurel individually that sold tickets, it was the both of them together. The pair is tied together despite the verbal disagreements, united not just in their love of performance, but of each other. As the film closes and we learn that the tour portrayed on screen would be the last one for the duo before Oliver’s death in 1957, there is certainly a feeling of sweet nostalgia. Yet screenwriter Jeff Pope has not intended to make this story one of sadness, but of inspiration. What brought Laurel and Hardy together was a shared love of comedy, but what kept them together was their love of each other and the joy they brought to millions. Like the real duo, this film is filled with laughter and tears, and will assuredly bring a smile to one’s face. In juggling a swirl of emotions director Jon S. Baird has managed to give tribute not solely to the titular comics but on the power of laughs, the cinema, and of full-bodied friendship. Rather than an idealized look at the Golden Age of Hollywood or a glamorizing depiction of the two, Stan & Ollie delivers a most human and touching view of the extraordinary professional and personal relationship between these icons. With this sentimental and uplifting portrait, we can this film is truly as beautiful, special and talented as those two eternal friends, Stan Laurel, and Oliver Hardy.